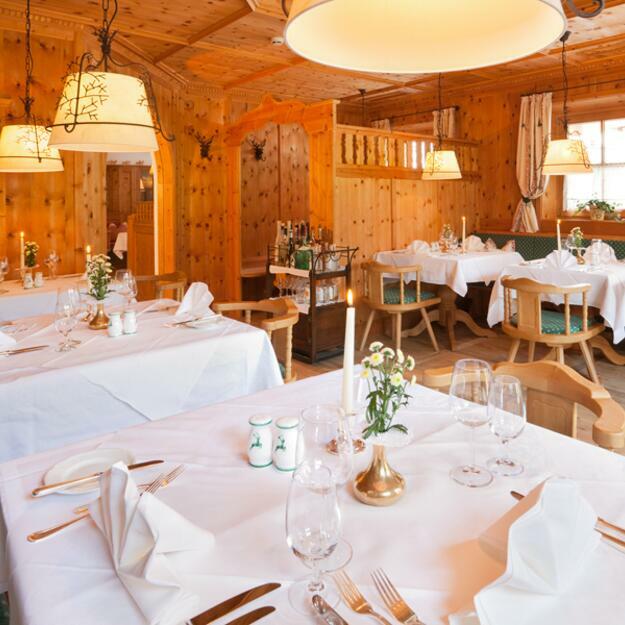 After a day of action and adventure in the Kitzbühel Alps, there is no better way to relax than with a delicious five-course meal at the Hotel Böglerhof in Alpbach. Our elegant and traditional wood-panelled parlours provide the perfect setting for an enjoyable dining experience. 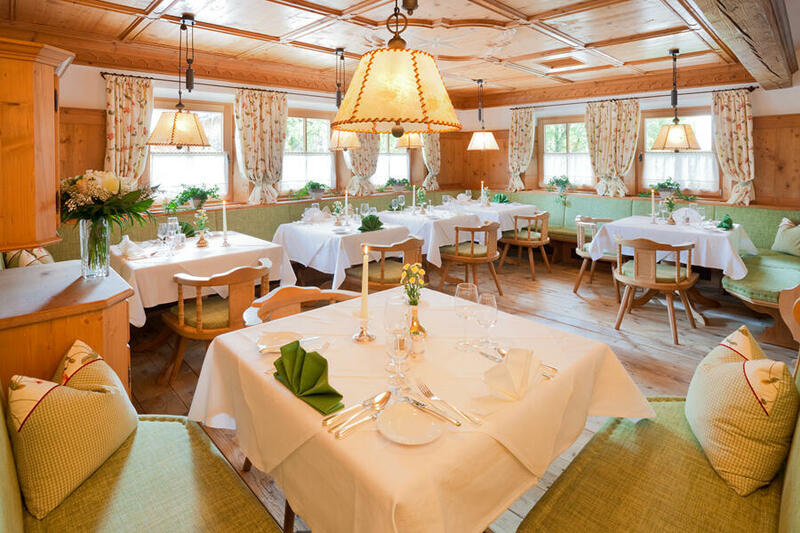 Guests can choose from five different parlours, each with its own unique flair: the Marienstube, Zirbenstube, Kaminstube, Ofenstube and Gotische Stube. 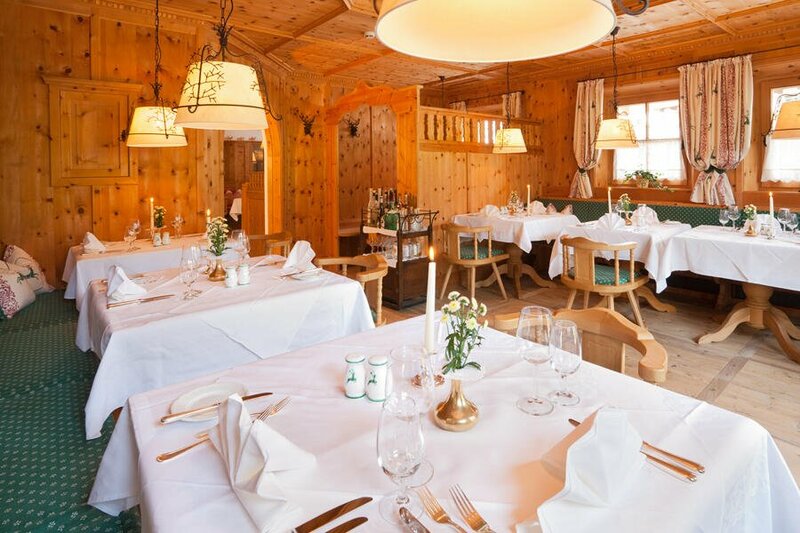 Bon appétit, or as we say here in Tyrol: Mahlzeit! 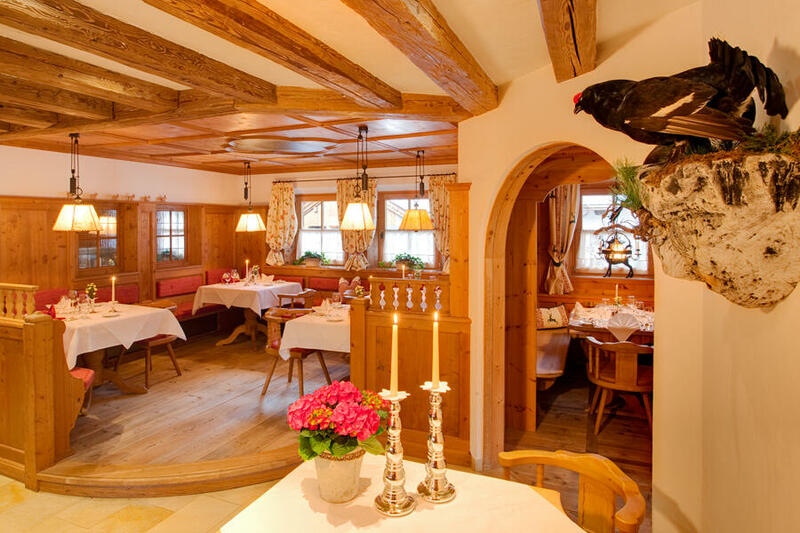 At the Hotel Böglerhof we have a number of rooms known as "Stuben" which are decorated in different styles: the Swiss pine "Zirbenstube", the gothic "Gotische Stube" and the cosy "Ofenstube". 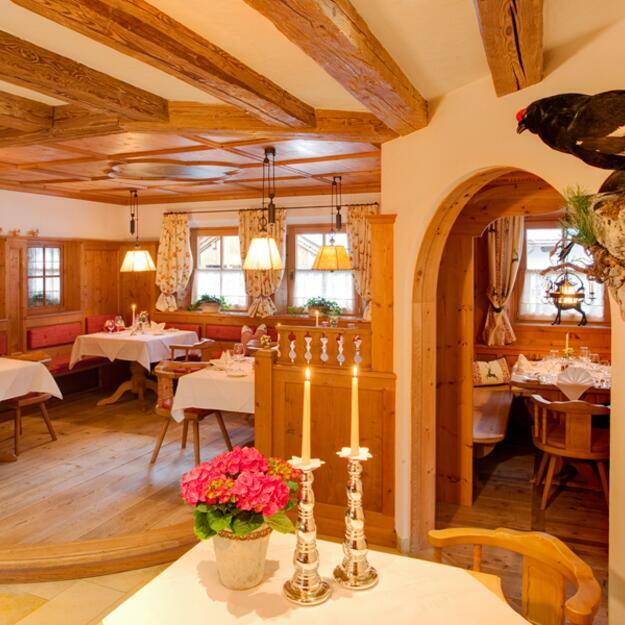 The last of the three is particularly popular in winter thanks to its traditional tiled oven which radiates a gentle heat throughout the day. 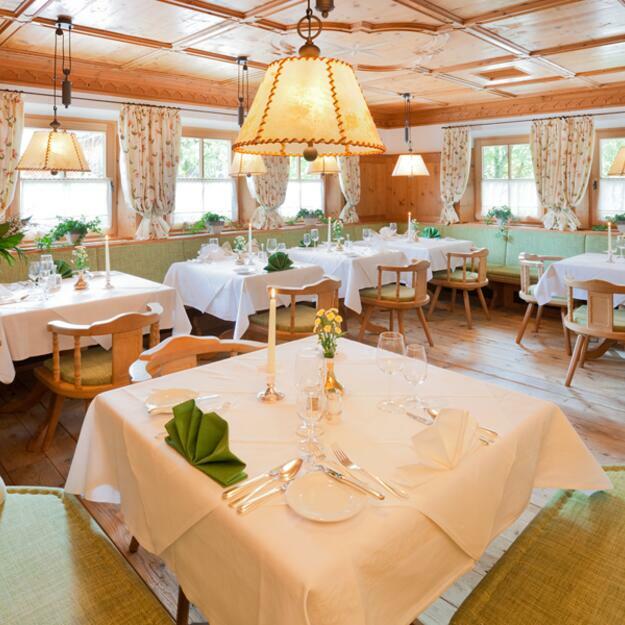 Last but certainly not least is the "Marienstube", which is decorated with many pictures of the Madonna and various saints. 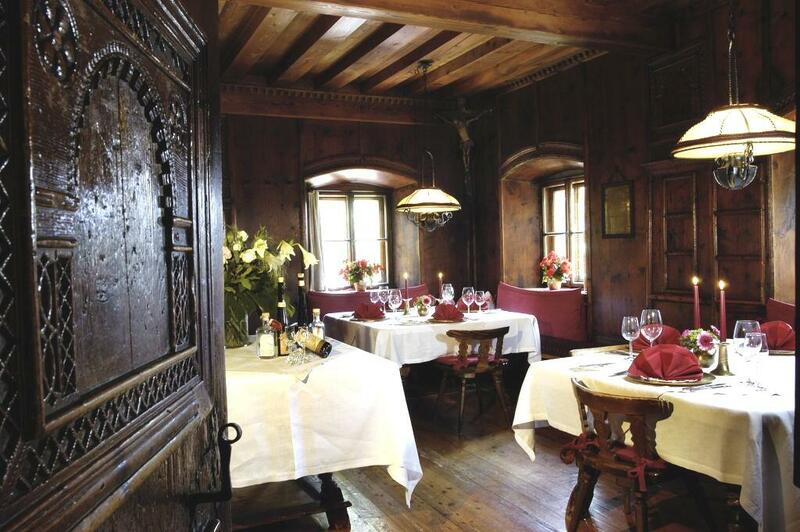 Our "Fuggerstube" is a traditional wood-panelled parlour room dating back around 500 years. 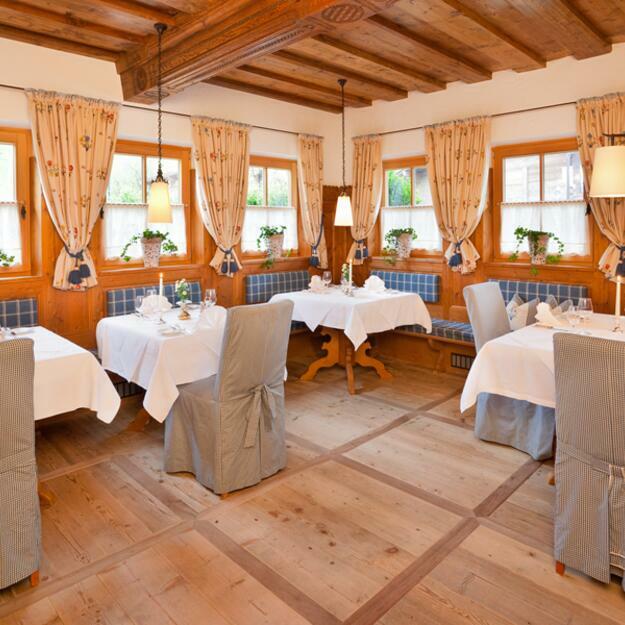 It was built in the 15th century and serves as a reminder of the Hotel Böglerhof's long history. 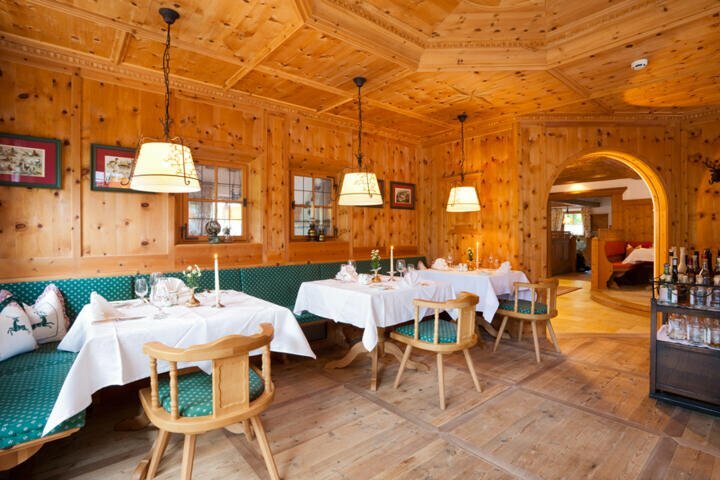 The room seats 28 people. 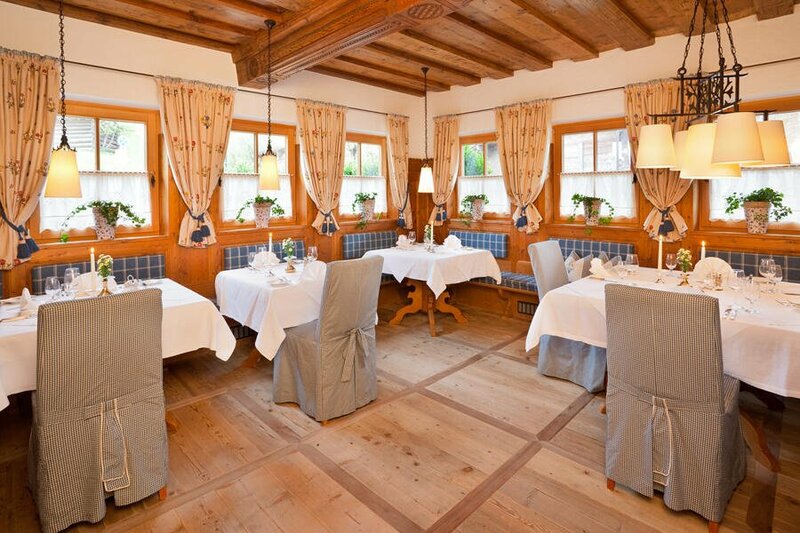 Fancy a little fine dining?